Late Model Restoration is proud to offer high quality parts from Dart Machinery for you Mustang! Dart Machinery began in humble surroundings. Richard Maskin founded Dart in 1981 in a two-car garage in Oak Park, Michigan. 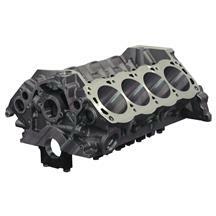 In the years since Maskin started his business with a desk and a telephone, Dart has become the proven leader in aftermarket cylinder heads, intake manifolds and engine blocks. Maskin is well known to drag racing fans as a mechanical mastermind whose engines have won multiple NHRA Pro Stock world championships and dozens of national events. Like many successful entrepreneurs, Maskin turned his passion for drag racing into a thriving enterprise. The seeds were planted when Maskin competed with a variety of drag racing machines. 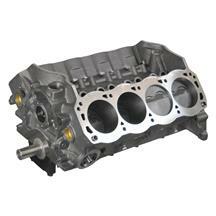 Dart is committed to producing the best engine components available. All development, machining and assembly are done at Dart’s own facilities in order to maintain the highest standards of quality. State of the art CNC machining centers, a computer controlled dynamometer and the proprietary “Speed Flow” technology / wet flow bench are among the assets which contribute to “the Dart advantage”. Shop our selection of Mustang Dart products below!